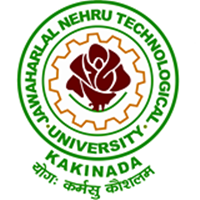 Sub: – JNTUK –Examination Branch – Reschedule of II B.Tech/B.Pharmacy I Semester (R16), III B.Tech/B.Pharmacy I Semester (R13) I Mid Examinations – Intimation – Regarding. The Principals of all the affiliated colleges are hereby informed that the following II B.Tech/B.Pharmacy I Semester (R16), III B.Tech/B.Pharmacy I Semester (R13) I Mid Examinations already scheduled on 10.08.2017 only have been rescheduled due to State Bundh Called by SFI. The examinations are rescheduled to the following dates given below. The Remaining Examinations will be conducted as per schedule. The Principals of all the affiliated colleges are informed that the same may be communicated to all the students concerned.